Reading Dog Sienna is ready to read! I have been fortunate in my life to work with animals in many different capacities. Obedience instructor for shelter dogs, with rescues for horses, dogs and cats, as an animal abuse investigator, as an animal communicator….all very rewarding activities. But hands down, some of my most fulfilling volunteer hours were spent as a Pet Partner with my assistance dog, Annie. Annie came to work with me in the therapy department of a nursing home. Her gentle demeanor coaxed clients to walk farther for exercise, speak louder to give her commands or strengthen their arms by brushing her luxurious fur. Annie had a unique ability to bring out the best in everyone she met. She was a very welcome addition to our therapy department. Isn’t it amazing how animals positively impact our lives? 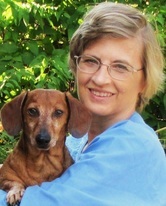 Annie has been gone many years but I still keep current with the animal assisted therapy world. An exciting new development in animal assisted therapy are reading dogs, cats, birds, rabbits (for the purpose of this article, dogs will be featured). These animals and their human partners go through many hours of training and then must pass specialized testing including remaining calm in the presence of people and animals, accepting of touch and obeying obedience commands. As a result, the dogs sit quietly while children read to them. You might wonder what value such a program would have. Sometimes children might feel self-conscious when reading in front of adults or their peers. Imagine working with a reading partner who waits patiently as words are sounded out, listening calmly to your every word. 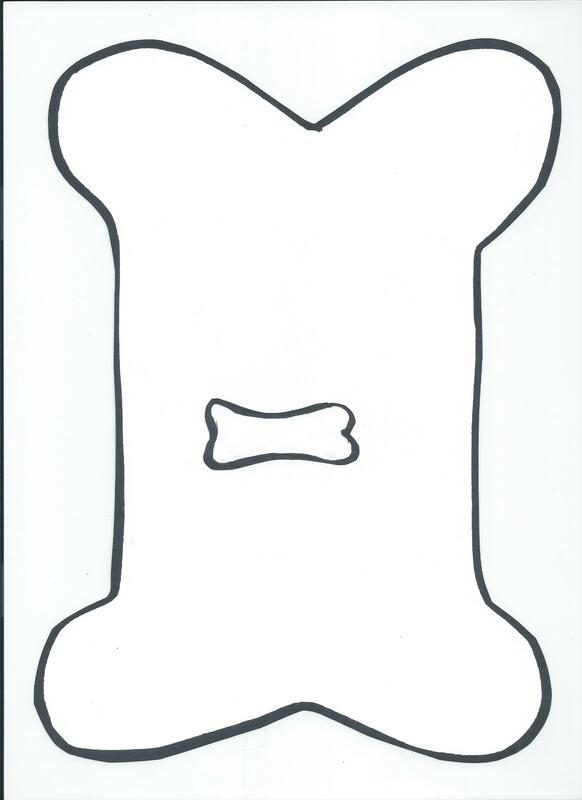 When reading to a dog, the child is focused on the animal instead themselves. Confidence levels increase and reading becomes fun! An added bonus is the child comes to see the dog as a friendly confidant, developing kindness and empathy towards another species in the process. Enhancing reading abilities is not the only reason to utilize a reading dog. Children who have suffered trauma or loss also benefit as research shows that this activity decreases anxiety and instills calmness in the human participants. Time spent in a safe, relaxed environment with an easygoing furry friend is such a self-esteem booster for children who may be experiencing stressful situations in their daily life. 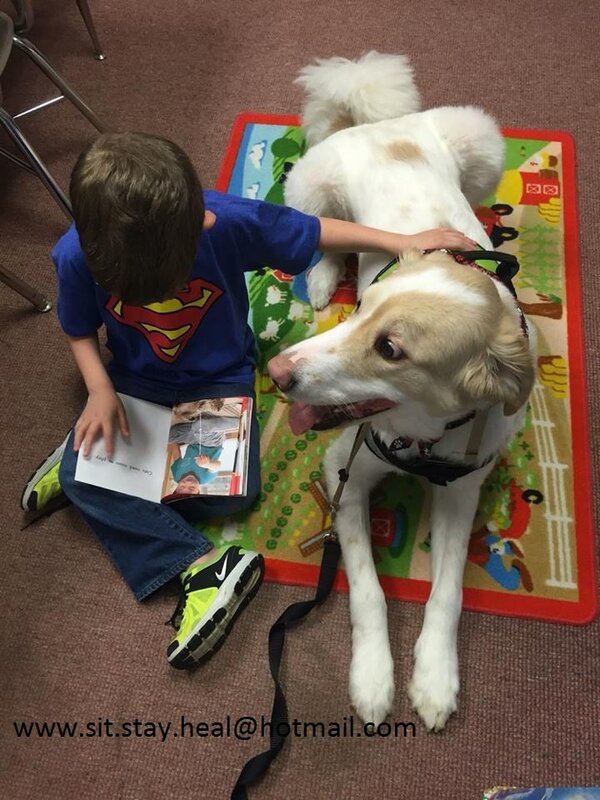 The use of reading dog programs are gaining popularity in schools and libraries. Organizations such as Intermountain Therapy Animals (www.therapyanimals.org) and their R.E.A.D. program (Reading Educational Assistance Dogs) or Therapy Dogs International (www.tdi-dog.org) with the Tail Waggin Tutors program, as well as many other organizations, offer training both to become a Reading Dog team and for volunteer opportunities as a Team to enhance a child’s learning experience. 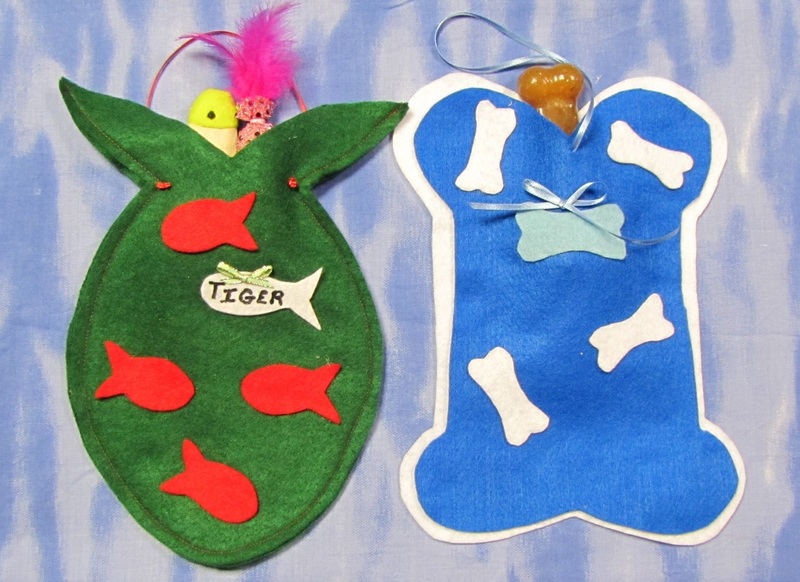 You can visithttp://www.therapyanimals.org/Read_Affiliate_Programs.html for a partial listing of Reading Animal Teams in your area/country. You might also check with local schools or libraries as they may already have Reading Animal Programs in place. And there is always Google, just type in the key words ‘reading dog programs’ including your area in the search parameter. As you can see by the photos, these dogs love their jobs! And how life affirming seeing kids, animals and books brought together in such a loving, inspirational way! Animals have so many gifts to give us…all we have to do is open our eyes to see…..or read. Thank you for joining me, see you next month!